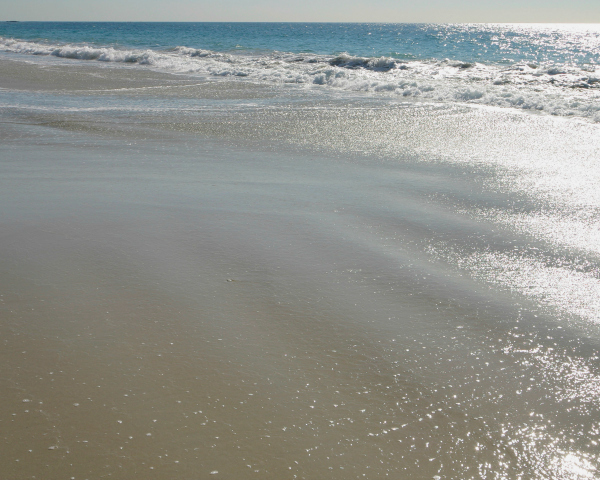 (Limited Availability) Escape to a treasurable island getaway on the Gulf Coast in Port Aransas, Texas. 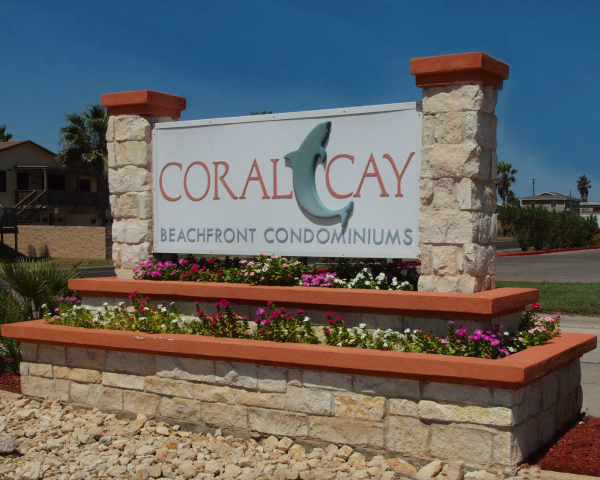 Coral Cay Beachfront Condominiums — one, two and three bedroom, fully furnished rentals, are a perfect beachfront retreat for couples, families or larger gatherings. 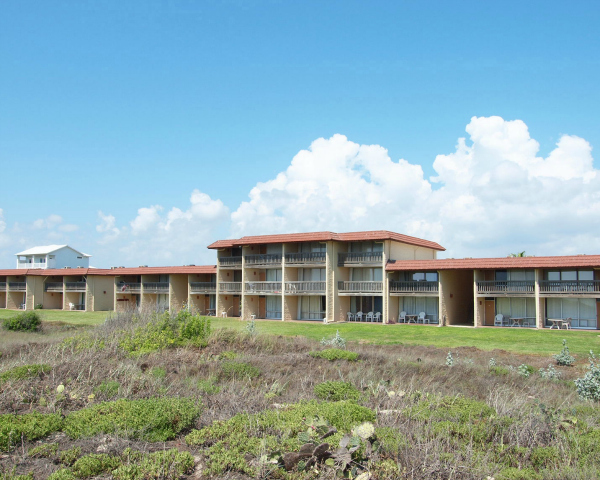 The seven-acre, landscaped grounds within walking distance of Port A feature two swimming pools (1 heated), tennis courts, shuffleboard and pergola covered BBQ areas. 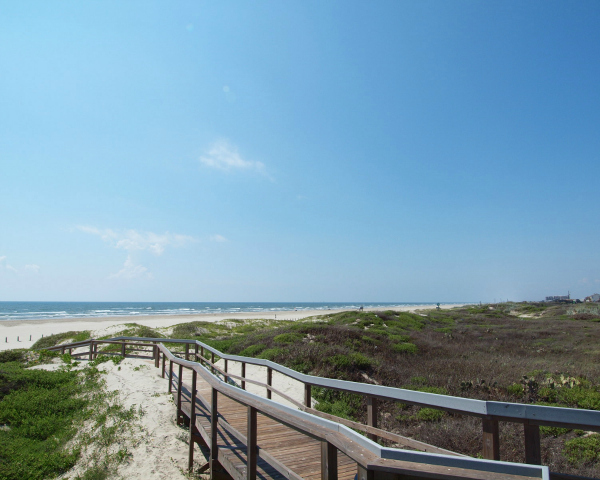 From Hwy 361 to Port Aransas, turn right on Access Rd 1A, left on 11th Street. Proceed for .7 mile and turn right into the Coral Cay entrance drive.